HopsScotch in Karragullen is inspired by the unique charm of the Perth Hills. Brothers John and Chris have created a wonderful venue where you and your family can relax, gather, explore and enjoy a sumptuous meal from their seasonal menus, followed by a freshly brewed tea or coffee. HopsScotch is fully licensed with a great range of locally produced wine, beer and cider. The gardens also have to a brand new children’s adventure playground, making HopsScotch an all-round family experience. Find it at 1088 Brookton Highway, Karragullen. Open for breakfast, lunch and dinner. 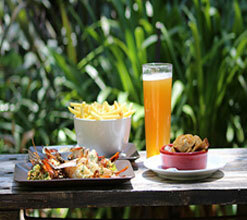 Bookings for lunch and dinner are essential – phone 9496 1138 or checkout the website http://www.hopsscotch.com.au/. The West Australian tourism sector recently celebrated the 2016 Perth Tourism Industry Exchange. Held at the Perth Arena, the event was an opportunity to acknowledge the major contribution tourism plays in boosting the economy of the State. Its economic diversity provides an array of direct and indirect economic benefits through positive flow-on effects to many industry sectors and small businesses. 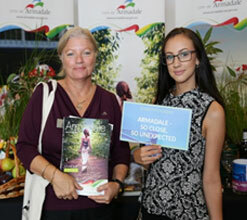 The Armadale Visitor Centre exhibit was represented by Suzy Parravicini, Tourism Co-ordinator and Barbara Hugill, Visitor Centre Co-ordinator. Both Suzy and Barbara showcased our diverse product and agreed that it was an outstanding success. Avocados donated a weekend for two in their Riverside Chalet which was won by Judith Burton of the Four Points by Sheraton. Judith can now come and sample our hospitality in the hills. Curtin FM will be broadcasting their afternoon program, with award winning media personality Jenny Seaton and co-host, Perth Entertainer Max Kay, at Avocados Café & Function Centre in Kelmscott from 12 – 3pm on Friday May 27. Come and join Jenny and Max for lunch and an afternoon of fun, news and a look behind the scenes. 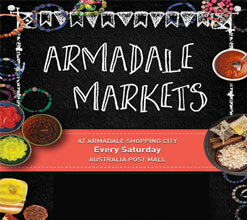 The City of Armadale Visitor Centre will also be there giving out free information packs. Come along to Avocados Café at 2 Mount Street, Kelmscott. 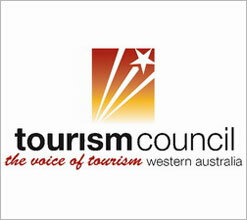 Tourism Council WA’s Tourism workshop is a brief version of the Tourism BOOST program. This is designed as an introduction and refresher course for businesses to understand the key opportunities to participate in the Western Australian tourism industry. Welcome to Coranda Lodge. A little bit of country in the city. 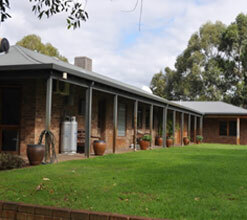 Located on a large property in a rural setting, just an easy drive from Perth City and the Airport, at 73 Twelfth Road, Haynes (Armadale). Carolyn and Tony welcome you to their immaculate home. They have rooms and suites suitable for singles, couples and families on holidays or a business trip. There is a pet friendly suite available too. All rooms have free WiFi, free Parking, Tea/Coffee facilities, outdoor furniture, BBQ and pool access. A place to recharge your batteries and take it easy. Read a book, go for a walk or just kickback and relax. 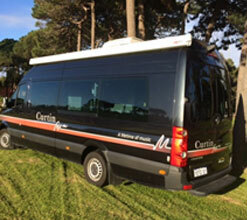 Treat yourself and make a booking with Carolyn or Tony on 0418 943 776. Did you know that the Armadale Visitor Centre provides an opportunity for local business to showcase their products and services? Come and find out how we are promoting the region to build a strong tourism economy. The Visitor Centre is much more than maps and brochures, providing information on coming events, tours, accommodation, restaurants, tourist venues and natural attractions in the region. A number of businesses that promote their wares through the Visitor Centre will be on hand at the Business Showcase so don't miss out. The Bert Tyler Vintage Museum and Telegraph Centre will also be open for viewing.